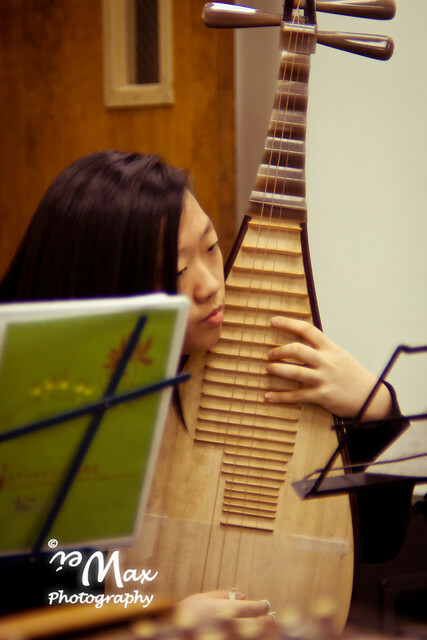 Lisa Li is a master of the pipa (Chinese lute) and a graduate of the Chinese Conservatory of China. She has composed and performed across Europe, Asia and the United States, and her playing was featured in the Academy Award-winning movie The Last Emperor. Now, as one of the lead composers for New Tang Dynasty Television's Chinese New Year Spectacular, a grand scale performance of traditional Chinese dance and song, Lisa has created what she believes to be a new kind of sound--based on ancient Chinese folk and religious music, but going beyond either of them. “Music is alive because, in the view of the Chinese ancients, every single object in the world has a life. In fact, in Chinese, when we refer to a musical note we call it a ‘live note,’” she explains. But according to Lisa, it must be composed and played from the heart—sometimes in ways that sound foreign to the western ear. But the melodies are far from random. Lisa’s music, like all traditionally composed Chinese music, is based on a series of pentatonic (5-note) scales. This system has its roots in Taoism, which teaches that all matter is formed from the five basic elements of metal, earth, wood, fire, and water. It teaches that in order for a being to be healthy, it must have all of these elements in balance. So, from the Chinese perspective, a song or piece of music must also contain a uniquely crafted balance of these elements. There are also eight note scales that relate to the Taoist symbol called the Bagua, which is most commonly known in the West as part of the practice of Feng Shui, or geomancy. An example of this is the piece she wrote for the dance “A Dunhuang Dream.” The dance is set against a backdrop of thousands of caves carved into the sides of cliffs as they are in the Moago Grottoes in the Dunhuang region of China. Seated at the mouth of each cave is a Buddhist or Taoist deity. As the dancers emerge, one can hear from the orchestra pit the voices of the erhu (Chinese violin) and guzheng (zither), but these are soon joined by the more recognizable resonance of cello, bass, oboe, and brass. The result strikes the ear as achingly otherworldly and yet also solidly familiar. In fact, the specific ya yue used in the score is the same as that found in the ancient pipa music written on scrolls that were discovered by archaeologists in the actual Dunhuang caves years ago.